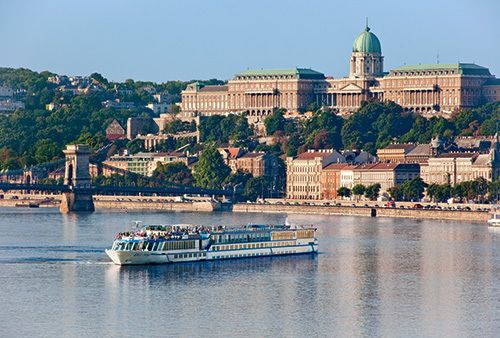 Europe – 48 days, 10 countries, 2 river boats, 5 airports, 5 hotels. I’m tired and haven’t left yet! After a year in the planning, we are almost ready to leave for our much anticipated 48 day trip to Europe. Kay and I are again traveling with our good friends Janet and Carl Wellborn, David Jarvis and Liana Chase. Our latest adventure will take us through 10 European countries, from small villages in Romania to the great metropolitan areas of London and Paris. After about 14 hours of travel including a short layover in Amsterdam, we will arrive in Bucharest, Romania where we spend one night. We then transfer to Sinaia in the Carpathian Mountains for 3 nights of Transylvanian experience including a visit to Prince Vlad Tepes (Vlad the Impaler), son of Vlad Dracula and the inspiration of Stoker’s Dracula. We then transfer to Constania on the Black Sea where we begin 25 days onboard the river boat M/S Adagio with a capacity of 164 passengers. After spend one night in Amsterdam at the conclusion of our river cruise, we will once again visit Schiphol Airport for a short flight to London. Here we will be staying four nights and we have a full schedule planned. 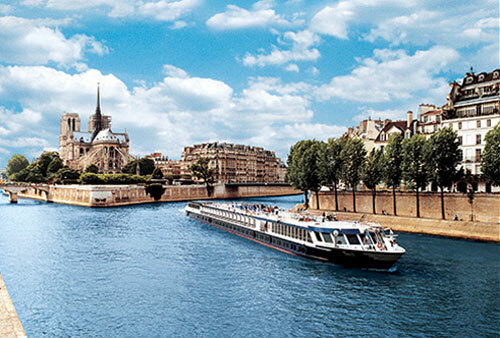 Leaving London we then fly to Paris and after an overnight to recuperate, we transfer to Honfleur, France where we board our second river boat the M/S Bizet a 120 passenger ship which will be taking us up the river Seine back to Paris. 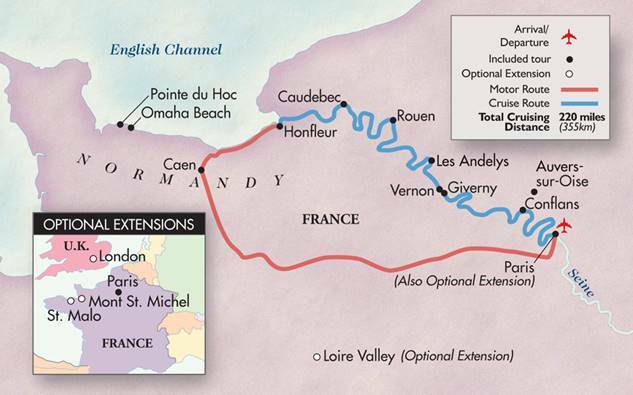 But before we set sail, we will spend a couple of days in the area with special attention focused on visiting Normandy and participating in the 70th anniversary celebration of the Normandy invasion by the Allies. The route of our travels from Paris to Honfleur and then back to Paris. After arriving in Paris we will spend an additional four days to enjoy the sights and experiences of this great European city. My ability to keep this blog updated will depend on internet service and availability and of course my time. I hope you enjoy following along with our travels. 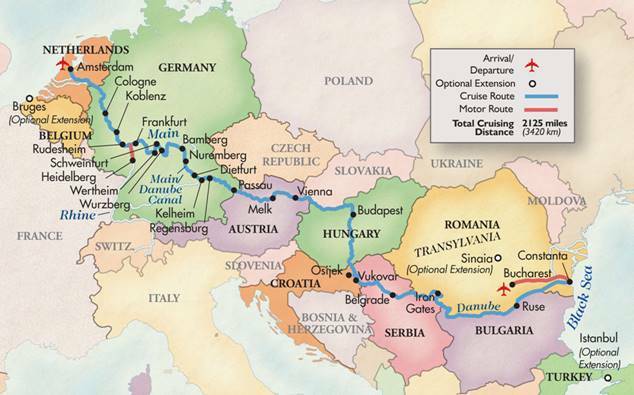 1 Response to Europe – 48 days, 10 countries, 2 river boats, 5 airports, 5 hotels. I’m tired and haven’t left yet! Wendell, enjoy the trip!! You will find your days very full. Finish the blog when you get home. I have subscribed so whatever posts you are able to do, I will receive. But having done one long riverboat cruise, I can’t imagine having time to blog. So enjoy rather than slave over the computer.